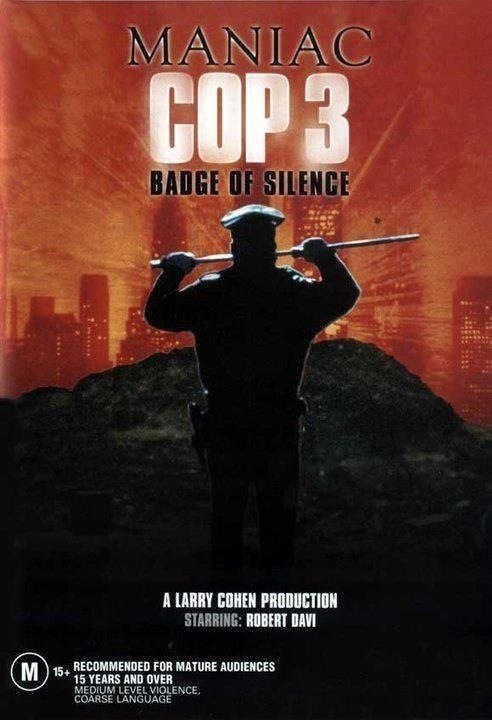 Released in 1993 Maniac Cop 3: Badge of Silence is considered by many fans of the trilogy as the weakest one and honestly I really cannot defend the film or really come up with any real defense of it, but I would actually rate this over Maniac Cop 2, which many fans and even director William Lustig consider the best. 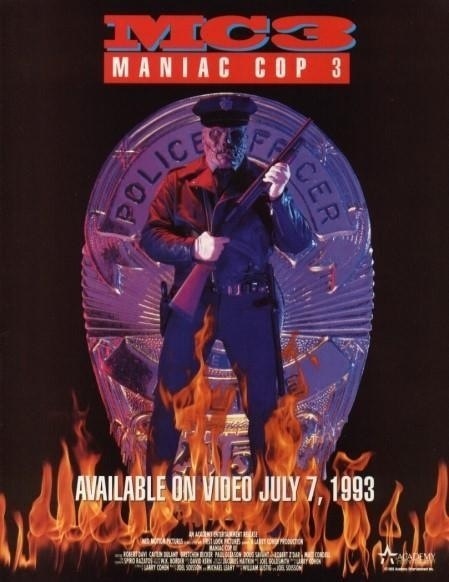 I still go with the original as the best of the series, but Maniac Cop 3 would be my 2nd favorite. The first film started off as a slasher film before becoming a crime/drama before going back to a slasher with a little bit of action. The 2nd started off as a slasher and a bit of a rehash, but after Cordell (Z’Dar) dispatches of the characters from the original the film changes gears and feels more like an action movie. 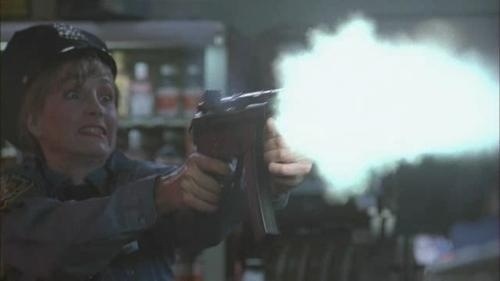 Maniac Cop 3 takes the crime/drama aspect of the original and action feel of the 2nd. 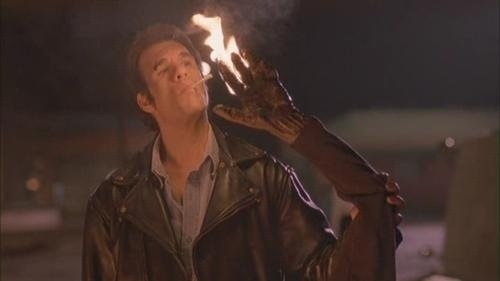 However Maniac Cop 3 feels like a totally different movie and almost feels as if Cordell was added in afterwards. After getting his revenge against those that did him wrong and having his name cleared Matt Cordell can finally rest in peace, but when a voodoo priest (Harris) resurrects Cordell he’s back on the beat. Meanwhile officer Katie Sullivan (Becker) responds to a robbery in progress, Jessup (Haley) the armed robber takes a female hostage, but officer Sullivan sees an opening and shoots him, but the hostage than grabs a gun and opens fire on Sullivan and she’s able to return fire hitting her between the eyes and all this is caught on camera by a two man media crew, but they edit the footage making it look like Sullivan executed an innocent civilian. Not wanting anymore bad press the police department turns on Katie who is in the hospital and declared brain dead and Detective Sean McKinney (Davi) who was close with Katie Sullivan stays at the hospital watching over her and wants to clear her name. Matt Cordell also sets out to clear her name as well as resurrecting her to be his bride. As a series goes on more often than not we start to move away from the original concept and Maniac Cop 3 is no different. The screenplay once again is written by Larry Cohen and while not bad it is pointless. The first 2 were about Cordell’s revenge and seeing as he got that and his name cleared this film was made just for the sake of it. Cordell while wronged was still the villain in the first film, but midway through the 2nd he sort if became the anti-hero and that can be applied here as well since everyone Cordell kills pretty much has it coming. With the exception of McKinney and Dr. Susan Fowler (Dulany) all the characters are better off dead, which again goes back to Cordell being the hero in this film. The problem though is when Cordell tries to kill McKinney it doesn’t really make sense seeing as McKinney is the one who cleared his name, but while I understand you need a showdown between hero and villain it does go against the majority of the film. Larry Cohen delivers a decent script that strays from the concept and again was rather pointless. With that said I found the script decently written even if there was no real point to it. Apparently there was some trouble on set, which caused director William Lustig to walk off and replaced with Joel Soisson. The credits in the opening only list Lustig, but the end credits it says additional scenes by Joel Soisson and the trailer for the film list both as director. I have no idea, which director is responsible for what. The good news is it doesn’t feel like two different directors so odds are Lustig probably shot a good portion of the film. 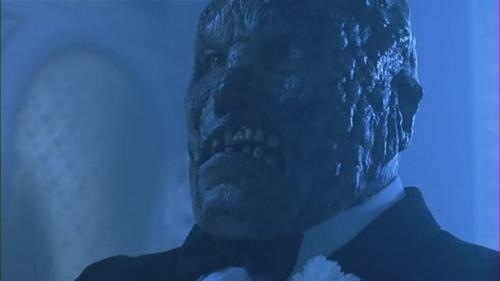 The pacing of the film at times can be sluggish, but Maniac Cop 3 has in my opinion a B-Movie charm going for it. 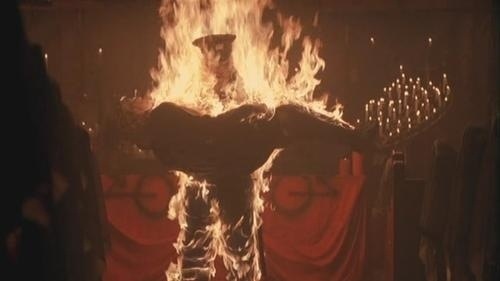 You know it isn’t very good and its quite clear the story was finished by this point, but yet there is just something you like about it and that sums up Maniac Cop 3. The good majority of the film is set in a hospital, which has led some to call this a knockoff of Halloween II, but both films are quite different and if anything Maniac Cop 3 should be called Bride of Maniac Cop since it draws more influence from Bride of Frankenstein. 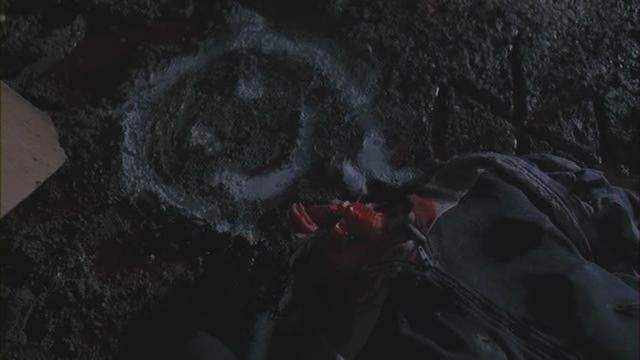 The suspense is a bit light and while the death scenes are fairly decent Lustig has done far better work. Despite the problems Lustig & Soisson deliver an entertaining film that while yes has a lot of problems also has again that B-Movie charm. All 3 Maniac Cop films had excellent casts and I think this might be the best of the 3. Robert Davi and Robert Z’Dar both return and we also have Doug Savant, Jackie Earle Haley, Grand L. Bush as well as Paul Gleason one of my very favorite actors probably best known as Richard Vernon in the John Hughes classic the Breakfast Club and lastly Robert Forster in his 2nd of 3 films with William Lustig (first being Vigilante and 3rd being Uncle Sam). While I totally understand the negative reviews revolving around Maniac Cop 3: Badge of Silence I always found this one oddly enjoyable. Sure the film is pointless and gets away from the premise of the series, but I like I said prefer this over the 2nd. Fans of the series will find most enjoyment, but it could even be hit or miss with them as well.